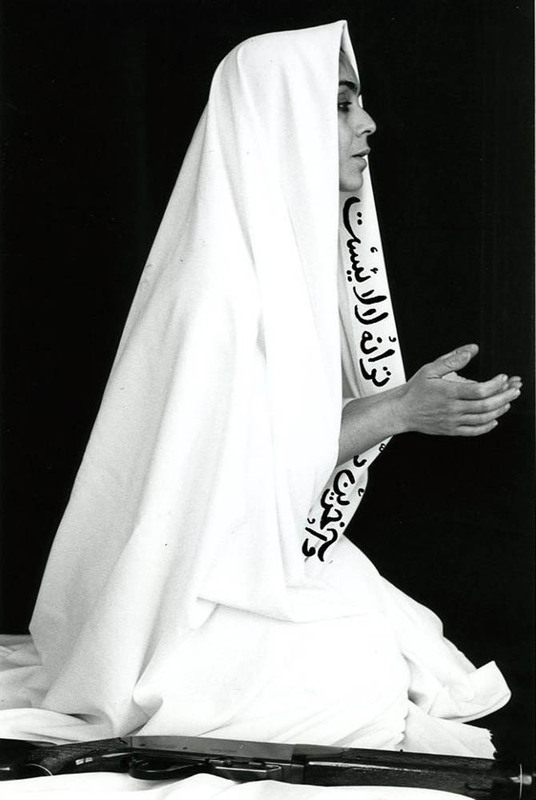 Shirin Neshat (Iranian, b.1957) is a video and installation who artist explores the political and social conditions of Iranian and Muslim life in her works, particularly focusing on women and feminist issues. Neshat was born in Qazvin, Iran, and left the country to study art in the United States at 17; she graduated from the University of California, Berkeley with an MFA in 1982. When she returned to her home country in 1990, she found it barely recognizable from the Iran before the 1979 Revolution, a shocking experience that incited the meditations on memory, loss, and contemporary life in Iran that are central to her work. 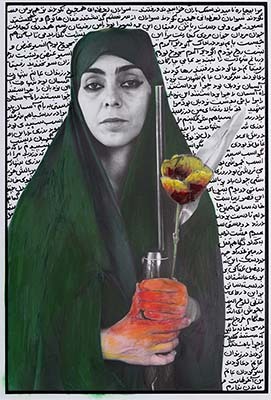 Her Women of Allah series, created in the mid-1990s, introduced the hallmark themes of her pieces through which she examines conditions of male, female, public, private, religious, political, and secular identities in both Iranian and Western cultures. Her videos, installations, and photographs have received great critical acclaim outside of Iran. Her work has been exhibited at the Venice Biennale, the Istanbul and Johannesburg Biennials, the Art Institute of Chicago, the Whitney Museum of American Art in New York, and the Tate Gallery in London, among other institutions. Neshat currently lives and works in New York.